So the non-blogger world of 'working for a living' and feeding my family beckons and The Dark Ranger will be away over the next couple of weeks for work. Because it is August and most of the important free agents have landed, there won't be news of great consequence to my 'dear heart' Blueshirts. I will continue to read, via blackberry, all of your blogs and posts - so keep hockey alive until my return! I'll check-in at the beginning of training camp. Until then, stay Dark and let's go Rangers! Looking forward to your return Dark Ranger. though real bloggers are online 24/7, i respect you dark for keeping summer hockey days busy with observations....you're allowed a break. 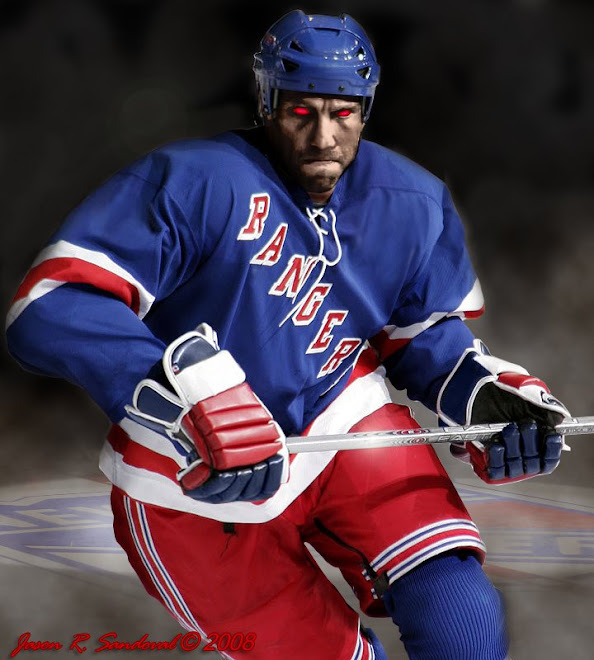 the Rangers will rock this season and the ncrew is pretty about aabout slats not signing peca. If so, go to the contact me page to send me a note! 1) See ya in September Dark! We believe your team is in for a fun ride in 07-08. See ya then!